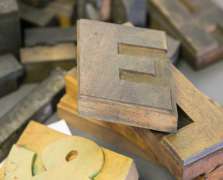 For the letter G in our Print Studio A-Z, we thought it would be interesting to introduce you to part of the digital side of DCA Print Studio. 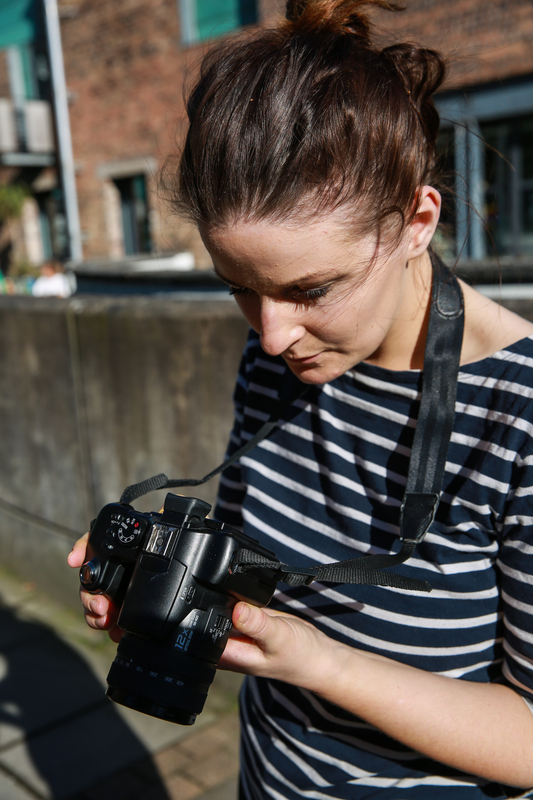 We had a chat with Barrie Morton who runs Get off Auto, a weekend photography course, to find out more about what someone can expect from the workshop. Hi Barrie! Thanks for chatting to us. Can you tell us in a nutshell what the Get Off Auto weekend course is? The Get Off Auto course is a weekend for people interested in photography who either have maybe just received a new camera or maybe have had one for a number of years, but who have only ever taken photographs using the “Auto” settings and are curious and keen to learn to use fully manual settings in order to take photographs. It is also a course for people who have a little knowledge of how to operate a camera on manual settings but perhaps are not entirely sure what they are doing, what combination of dials they should be turning and why, or how to go about getting the best exposures for their images. "It's all about taking the control back from the equipment and putting it firmly in the photographer's hands"
It is aimed at people of all levels from those who are complete novices and are scared of their camera, to those who are quite comfortable taking photos but are fed up of accepting the results that a camera will give them on an auto setting. It’s all about taking the control back from the equipment and putting it firmly in the photographer’s hands. Over the weekend, we cover all sorts of topics from theory to the technical aspects of exposure, where to find everything on your camera and in its menus, how to set up your camera properly, and how and when to change anything. Then we put it all into practice through a series of exercises. Once everyone is fairly comfortable, we head out into the real world to put our newly learned skills to the test. What kind of thing would someone expect to learn from taking part? They should expect to learn about proper use of ISO, aperture, shutter speed, and white balance settings, what they are and how they can potentially affect their photos, and how to use them both critically and creatively. They will also learn how to correctly meter a scene for exposure and the different types of metering available within their camera. Correct use of autofocus and manual focus. We also talk about different file types (jpeg and raw) and where each of those become relevant depending on the purpose of the image. "I try to give the participants as good an insight into taking photographs as possible, not just the technical side of things." Composition is another important topic. On top of all that, I also give out little professional tips and tricks that may help to overcome potential problems when photographing in different situations. It’s also quite common for me to talk about good photographic practice in general and sometimes touch on aspects of the process that are not necessarily camera related. I try to give the participants as good an insight into taking photographs as possible, not just the technical side of things. To what extent does it matter what kind of camera someone has got to take part? Are there any requirements? The only requirement is that the camera has to be capable of manual operation, and allow you to independently set things like the ISO, aperture and shutter speed etc. Even if those settings are limited, which can be the case on some compact and bridge cameras, if there is a Manual setting on the camera then they are more than welcome to come on the course. If the participant’s camera is overly limited in the ability to select a range of these settings however, then they may find the results they get from the course also slightly limited. We get participants with cameras that run the gamut from small compact, to bridge, to entry level DSLR, to full frame professional DSLR cameras. "The most rewarding aspect for me is seeing the look on someone’s face when things finally start to make sense." As the tutor, what do you find is the most rewarding part of spending a weekend getting people 'off auto'? The most rewarding aspect for me is seeing the look on someone’s face when things finally start to make sense, then watching them take photographs with a renewed energy and determination. It’s a wonderful thing to see. I also hope that after spending the weekend with me I can impart at least a little knowledge that enables them to become better photographers. Getting off auto is only a part of that. Thanks for chatting to us Barrie! Feeling inspired to book a place? Our next Get off Auto course is on Sat 15 & Sun 16 July, book your place on our website, over the phone, or in person at our Box Office.